Originally Published in DeneenBorelli.com on 11/26/14. 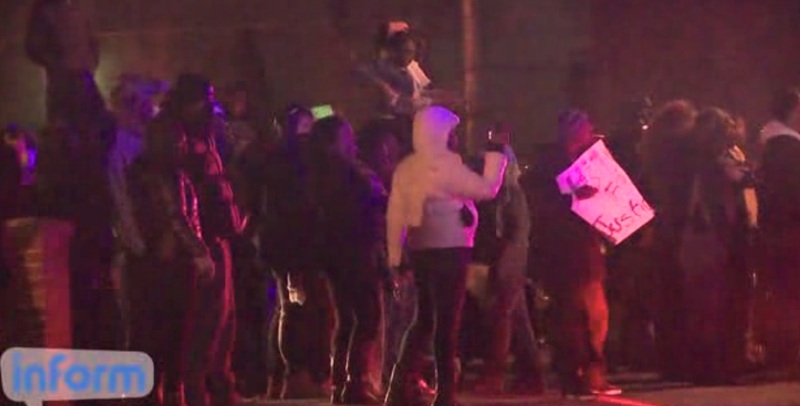 In Ferguson, Missouri, the location of the shooting, violence erupted. Rioters looted stores, an estimated 25 buildings were set on fire, and gunfire was reported on the streets. Mob reaction was not restricted to the site of the shooting. In Oakland, California, protesters shut down streets and blocked traffic on Interstate 580. New York City was also subjected to mob action. Police Commissioner William Bratton was hit with red paint and three New York City bridges were blocked by protesters. The tone of this mob overreaction to the grand jury’s decision was set in August just after the shooting, and indeed much earlier, by President Obama and Attorney General Eric Holder. As this case shows, color-coded justice reigns when it suits the political agenda of liberal black politicians and activists. Ironically, under this system, whites are the real victims and black perpetuators are innocent. The seeds for black outrage in Ferguson were planted just after Brown’s shooting when the media propagated the message that Brown was “executed” by Officer Wilson while he was trying to surrender with his hands up.